Bournemouth winger Ryan Fraser has committed his future to the club by signing a new three-year contract. 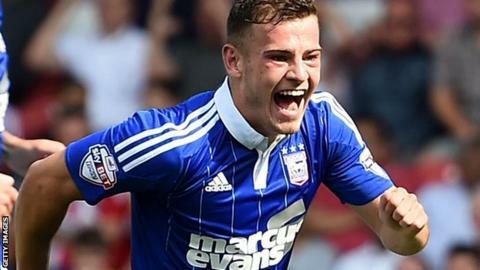 The Scotland Under-21 international is currently on a season-long loan at Ipswich Town and scored on his Championship debut for the club. "Hopefully he'll be able to get a consistent run with Ipswich and show everyone just how good he can be," Bournemouth manager Eddie Howe said. Fraser, 21, joined Bournemouth from Aberdeen in January 2013. He made 21 appearances as Bournemouth won the Championship title last season.